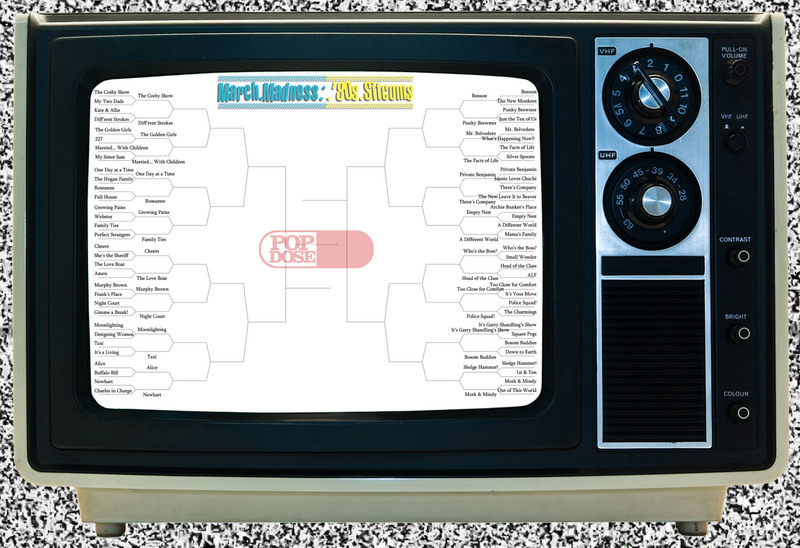 Popdose’s March Madness: ’80s Sitcom Edition tournament continues with the first half of second round matchups. We’ve made it through the first round, and we’re down to a field of 32 shows. As with the first round, the second will be split into two posts to prevent voter fatigue. Today’s voting is for Region 1 (Family & Friends) and Region 2 (Spinoffs, Adaptations, & Revivals), and will determine which shows make it to the Sweet 16. If you need a recap of the rules or the selection process, click here. Let’s get to it! Polls will close on March 23rd at 12pm Popdose Standard Time, and voting for the second half of this round gets underway on Monday, March 25th.